Enjoy a refreshing cuppa with the Wonder Woman Shield Mug. 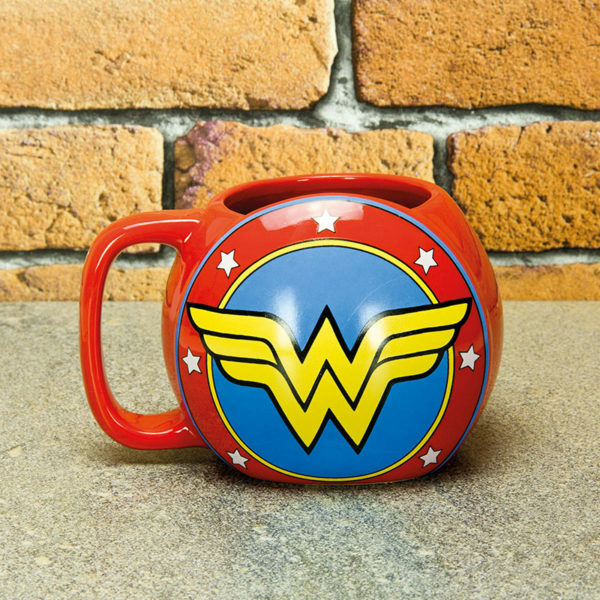 Licensed DC Comics superhero gift, shaped as Wonder Woman’s iconic shield. Enjoy a refreshing cuppa with a superhero in the unique shape of this Wonder Woman Shield Mug. Tackle the fight against thirst and earn yourself a perfect tea break! 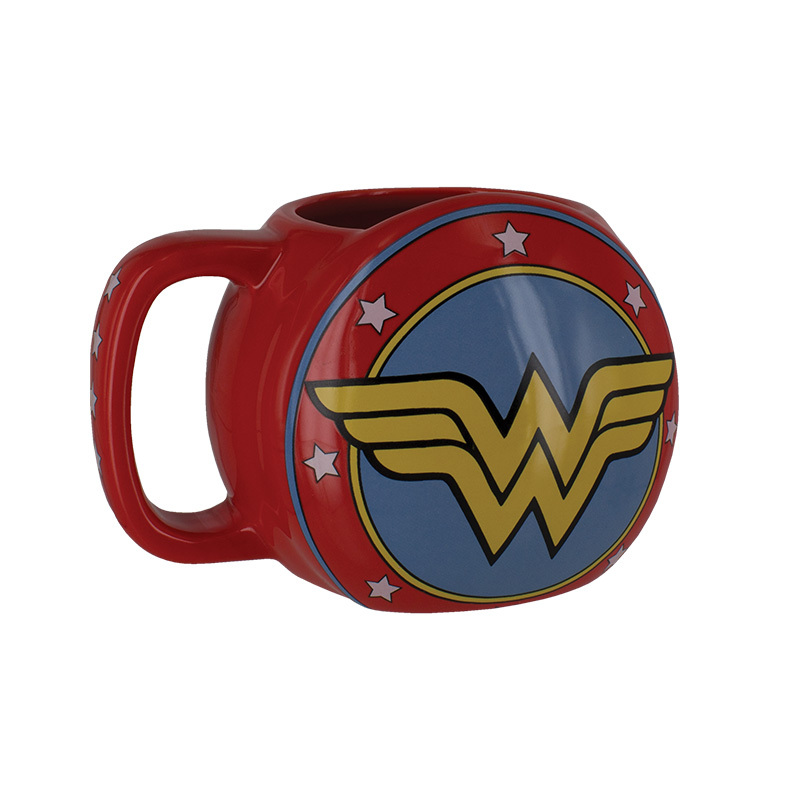 The Wonder Woman Shield Mug is an officially licensed DC Comics product. An ideal gift solution for birthdays, Christmas stocking fillers or even the office Secret Santa. Not suitable for dishwasher or microwave use. Wonder Woman first appeared in All Star Comics in 1941 (later to form part of DC Comics). She has become an enduring hero for millions of fans world-wide. Featuring in her own blockbuster movie, as well as the wider DC franchise films such as Justice League, Wonder Woman is one of the most popular characters in the DC Comics canon.